If you have money or you are a large corporate then the law is your friend. You can open your wallet and get all the legal representation you could ever want. And then there is the other 90%-plus of the planet that cannot access legal help because they are either not wealthy enough; don’t have a case that lawyers will take on a no-win-no-fee basis; or don’t qualify for a sufficient level of legal aid to help solve their problem. So, what do we do to help this 90% of humanity that doesn’t have access to lawyers other than for the most basic of commoditised services, and implicitly therefore little access to justice? What if you are just a regular person with a ‘consumer’ level legal dispute that no-one wants to help with? 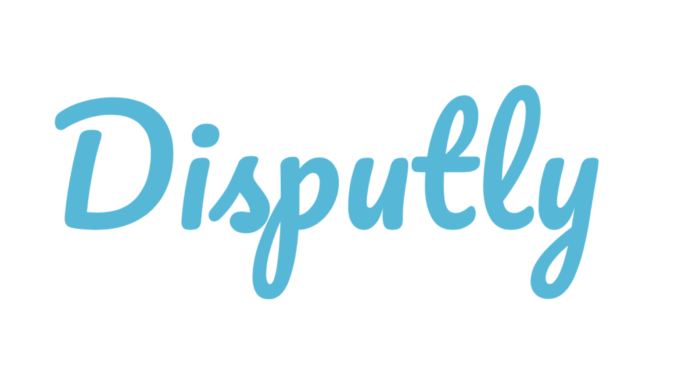 This is the world that Simon Boehme, co-founder of Disputly, has set himself the goal of understanding and finding some meaningful solutions to. Artificial Lawyer caught up with him fresh out of his startup leaving the LexisNexis LegalTech Accelerator in California. The world of ‘A2J Tech’ and consumer legal tools is a sprawling and disconnected field, with many entities and individuals all around the world developing different applications and approaches. Boehme wants to try and do his bit to move things forward. And his initial solution had been to develop a broad online platform, with automated elements, which would help people solve civil matters. The reality of the enormity of this task led he and his team in San Francisco to focus on getting just one specific legal issue sorted out, and then they’d see where they can go from there. In this case, Disputly helps people get their deposits back from less than helpful landlords and letting agents in Northern California, who see its large rental community as a cash cow. So, a classic example of how consumers get off to a bad start from day one when it comes to legal rights. But, ‘legal tech can help people know their rights,’ he adds. Fundamentally this is a ‘small claims’ issue. But, how many people even know where to start? While a small claim may seem easy to an experienced lawyer, to a member of the public even that can be daunting. Disputly tries to make it as simple as possible. ‘In terms of tech, the demand letter is automated and so too the paperwork for making the small claim,’ Boehme notes. Then we get to the last mile problem. Unless the local court has e-filing, or the landlord accepts the emailed demand, then someone has to print out the documents and file them in person. But, Boehme notes that a small but increasing number of local US courts are allowing e-filing and that will really help the growth of consumer legal tech tools. We’ve also seen Modria, the California legal tech start-up whose founders pioneered Online Dispute Resolution or ODR at eBay and PayPal, sold to the publicly listed tech giant, Tyler Technologies – which in turn works with the US justice system (see story from June 2017). Boehme also notes moves in Los Angeles to develop an online court platform, and online mediation projects for family matters in Las Vegas. So….there is some optimism there, albeit we are talking about small green shoots in an otherwise legal desert. But, what about funding? Are VCs excited by tapping into what is a massive potential market of unmet demand? After all, such tools need scale and scale needs funding to help companies like Disputly grow. ‘The consumer life cycle is a big hurdle for VCs,’ explains Boehme, i.e. a client comes to the site, gets their deposit back and then is gone. It’s not like you are selling someone Microsoft Office, which they’ll hold onto for a lifetime, renewing every few years. He notes that most VCs have little knowledge – just like everyone else in the world – about legal terms or how the legal system works. And that makes it hard to pitch. After all, how do you pitch a legal claims software tool to someone who does not know what the difference between a civil and a criminal legal issue is? Another issue is if VCs are looking for a quick exit. Consumer legal tech is going to be something investors have to really want to support and be around for the long term to see serious scale growth. And, many investors don’t see things like that. Boehme remains optimistic. There is a clear need and his startup has proved it can work. He adds that because this is a digital platform they are able to collect useful data. And that in turn may be useful in other ways. Perhaps lawyers could see patterns in the data that could lead to a class action against certain large landlords, for example. Does this use AI to review renatal agreements and and present a non-legalistic report?